Do you spend a lot of time at your office desk? Are you sometimes uncomfortable and suffering from back and neck pain? 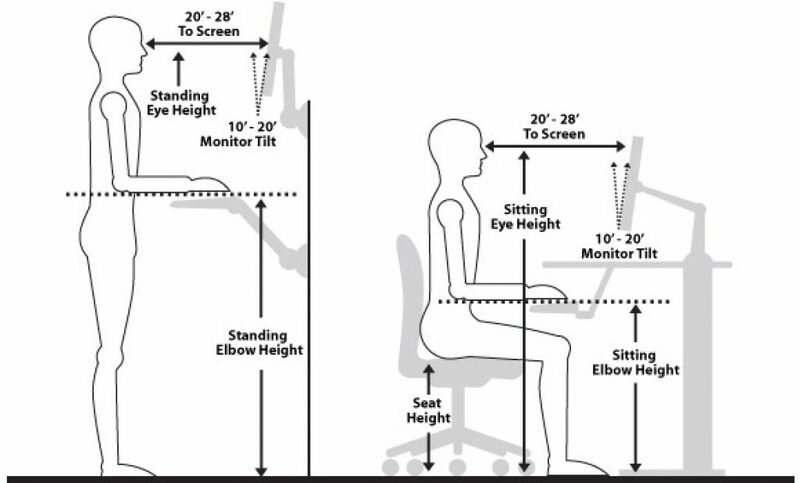 If you often work at your computer for hours at the time, an ergonomic desk setup is probably one of the best things for you. How to get the best setup for you? Continue reading as we have some tips to help you. A bad hand position usually ends up in overusing of the small wrist tendons. To avoid this, it’s best you choose the desk that has adjustable height. 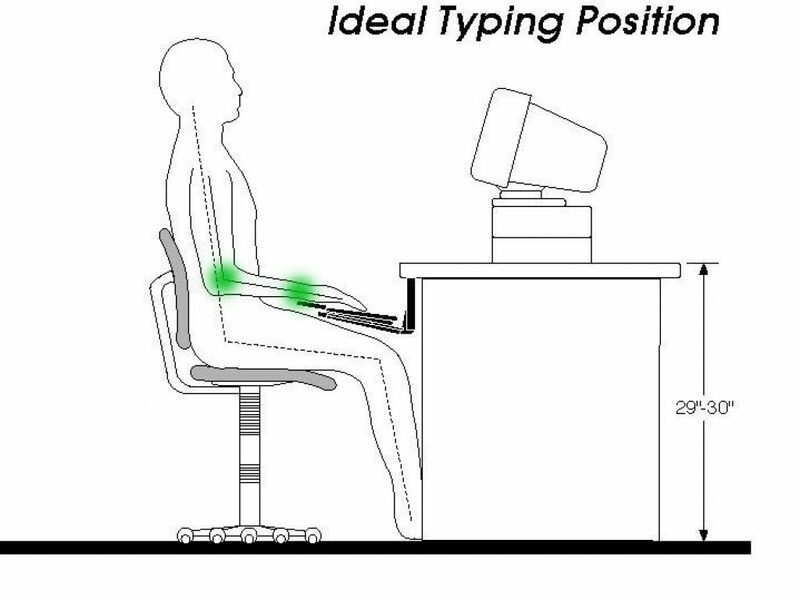 The right desk height and hand position also help with fast typing. It’s always recommended to listen to your body and make sure you’re comfortable while typing. Your elbow and wrist position is essential, especially if you’re on a computer for hours at a time. Your wrists should be flat, which means that the keyboard should be flat, too. It’s recommended you avoid propping up your keyboard in the back. Bend your elbows to 90 degrees, with your shoulders relaxed. This is why you’d need a desk with adjustable height since those allow you to customize it to your preference. 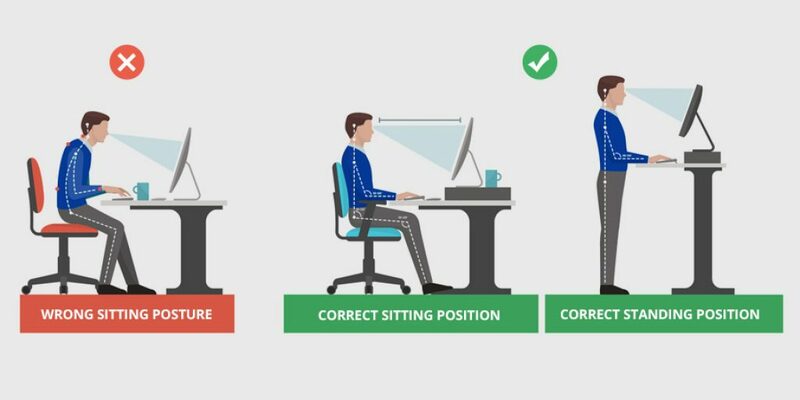 Same positions should be kept even if you’re standing at your desk. The best things for a natural hand and wrist position are an ergonomic mouse and keyboard. These are ideal for long typing since they help you avoid squeezing your shoulders and hands together. Best ergonomic mouse and keyboard are very easy to use, and you’ll notice the comfort difference instantly. In most cases, they take a while to get used to, but once you do, you won’t want to go back. These will help you maintain that natural position that makes long typing more comfortable. Luckily, there are many great models on the market allowing you to choose based on your preference. If your monitor is in the wrong position, you’ll find yourself in many wrong positions. Do you sometimes notice your chin is tilted or your back is bent? The reason behind this is probably the wrong position and distance of your monitor. This causes discomfort, and sometimes even injury. Getting a monitor arm or stand can help improve the quality of the time spent on a computer. In most cases, they are ergonomically designed to provide comfort and strengthen your neck and back posture. There are many different models on the market suitable even for gamers. Look for those that are adjustable, flexible and durable. Body posture might be the most important thing when it comes to spending time on your computer. Regardless of whether you’re sitting or standing, you want to be comfortable when typing. 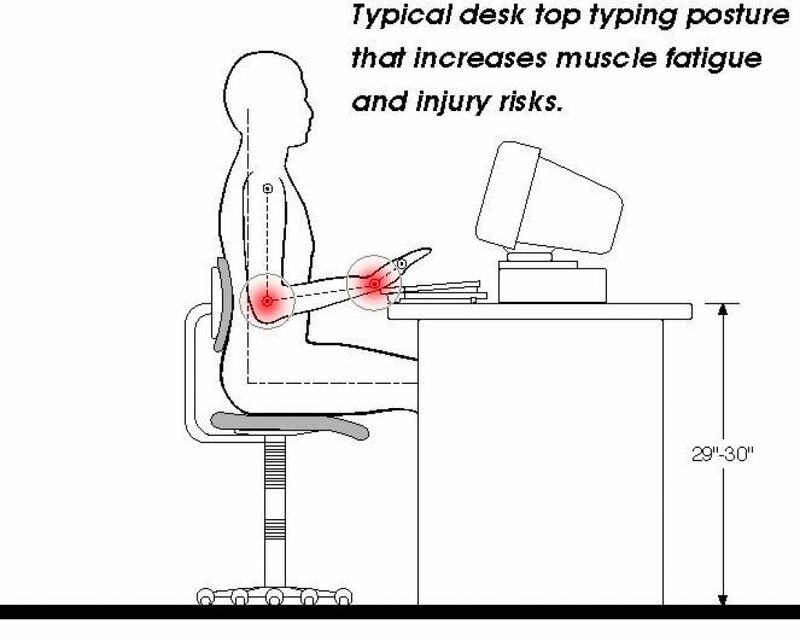 An ergonomic desk setup improves your overall body position and helps avoid back and neck pain. When sitting, it’s crucial that you don’t feel any discomfort even after hours. How to achieve that? An ergonomic chair and desk are only one of the steps you can take. The more attention you pay to this, the more comfortable you’ll feel when sitting for a long time. An ergonomic chair that’s cushioned and comfortable is one of the most important things. It’s always recommended because of its adjustable height, armrests, and overall beneficial design. A chair like this will improve the time you spend sitting on your computer. Consider the many models on the market to find the one that suits your needs the best. If an idea of a standing desk isn’t really to your taste, consider the converter. 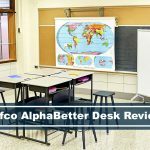 A stand-up desk converter is a convenient office item that will most certainly help your overall body posture. Being able to sometimes stand up after hours of sitting always feels great. But what if you’re too busy and can’t stop working? 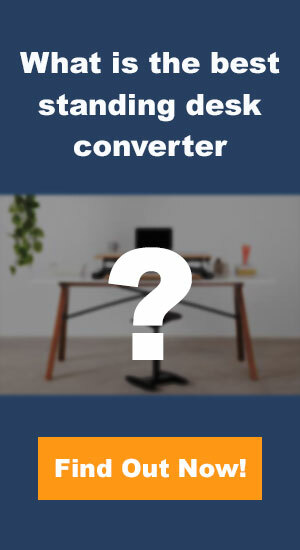 This is where the converter helps you as you can stand up and stretch out your legs while continuing to work. There are many different types of converters, and they also come in many different sizes. If you have a standing desk or use a desk converter, you should consider an anti-fatigue mat. When you stand for a long time, there’s a chance of developing lower limb and foot disorders. This type of mat helps with tiredness, discomfort, sore legs, feet, hips and knees. They are usually made of rubber, wood, vinyl, carpeting materials, etc. If you’re often at your computer, it’s highly likely that you’ll develop certain discomforts. To avoid this, you must pay special attention to your desk setup. Taking at least baby-steps will make the difference that you’ll notice right away. For this reason, the next time you feel tired and uncomfortable at your desk apply these tips to improve the time you spend working. This Kids Art Table Will Keep Your Child Busy For Hours! How Long Should You Stand When Using A Stand Up Desk? Sitting is the New Smoking – Is it true?